Sweet mango brightens the richness of avocado. But use caution when mashing the fruits to maintain bite-size cubes of creamy mango and avocado. 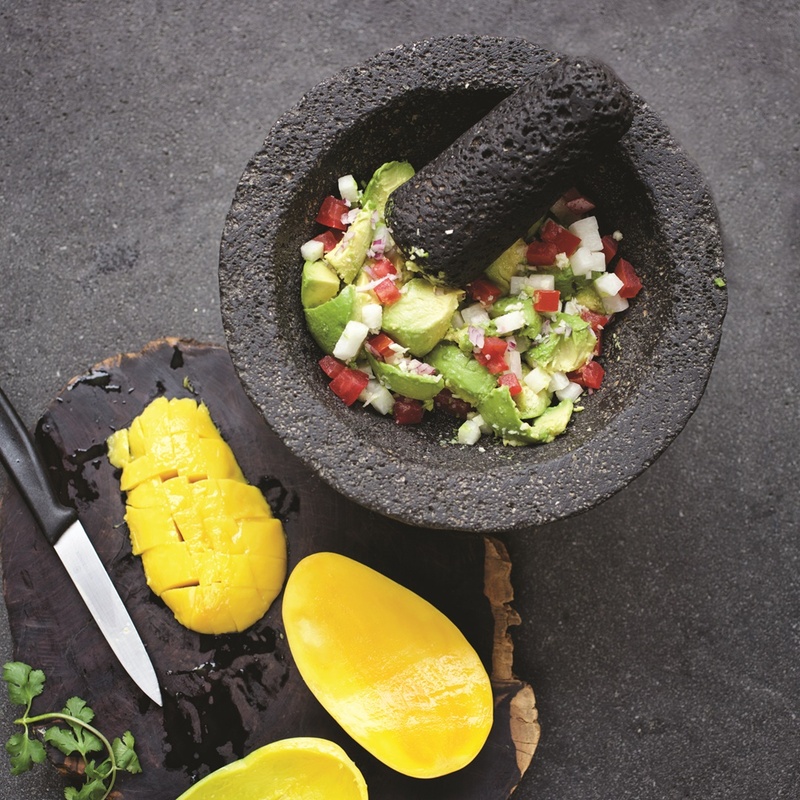 In medium bowl, combine the mango, jicama, onion, garlic, lemon juice, salt, and black pepper. Place the avocado flesh in another medium bowl, and mash until soft. Add the mango mixture and stir to thoroughly combine. Top with cilantro and pomegranate seeds, if desired, and serve with tortilla chips.